The Sales Leadership Community is a partnership between universities, executive sales leaders, and SOAR Performance Group to create a forum for best practice sharing and executive networking in local markets. It also creates networking and mentoring opportunities for senior sales executives with university students interested in sales careers. Each community is led by an advisory board with representatives from companies in different industries and with different go-to-market models. Meetings are held three times a year and co-hosted by the partner university and SOAR Performance Group. In partnership with Georgia State University, SOAR launched its flagship community in Atlanta, GA. The Atlanta Sales Leadership Community has grown to include senior sales leaders from ABB Enterprise, Aptean, AT&T, Coca-Cola, Elavon, EY, FIS, Georgia Pacific, IBM, NetSuite, PROS, Ricoh, Sphera Solutions, Siemens, TransUnion, Verint, Verizon and other top companies of all sizes and industries. The second community launched in partnership with DePaul University’s Center for Sales Leadership. 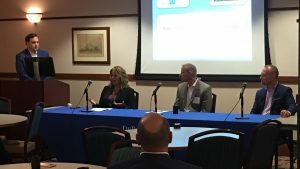 The Chicago Sales Leadership Community has grown to include senior sales leaders from CH Robinson, HP Enterprise, IRI, LinkedIn, Miller Coors, Patterson Medical, SAP, Shearer’s Foods, Siemens Healthineers, Softchoice, Southwire, Whirlpool, Zones and other top companies of all sizes and industries. 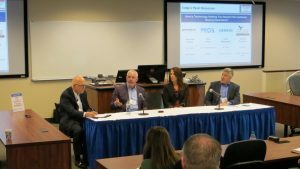 As founding university partners, Georgia State University and DePaul University have experienced first-hand the tremendous success of the Sales Leadership Community. The partnership provides increased exposure for the schools, career opportunities for the students and access to industry leaders. Additionally, the partnership creates opportunities for leading sales practitioners to speak to classes about their real world experiences and form mentoring relationships with students. SOAR Performance Group is looking to develop new partnerships and expand the Sales Leadership Community into new markets. We are looking for universities interested in entering into this kind of partnership within their local market. Joining this effort will place the local university at the forefront of the movement to expand sales education at the collegiate level. Partner universities will also have the opportunity to participate in the establishment of a national case competition related to sales. If you are interested in forming a community, joining the advisory board of a current chapter, or participating in a panel discussion, please contact us.